as the rules for manipulating fractions that involve numbers . of these rules are illustrated more completely later in this appendix. on the bottom of the fraction is called the denominator. 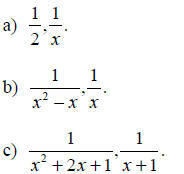 In this case, the denominator is b.
fractions involved have the same denominator. fractions using this common denominator. the denominator to the common denominator. the common denominator are usually the simplest possible . 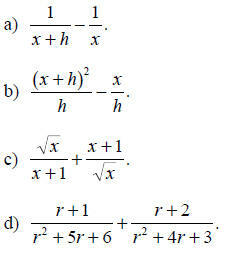 Evaluate and simplify each of the algebraic expressions . 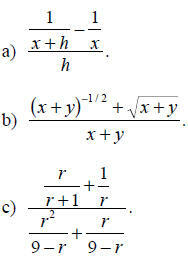 rather than the more obvious common denominator (r + 1)(r + 2)(r + 2)(r + 3). 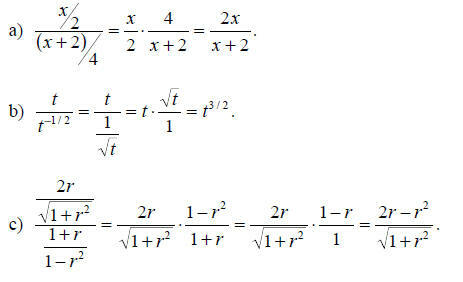 Evaluate or simplify each of the fractions given below. Sometimes, fractions will have other fractions in their numerator or denominator (or both). separately , and then divide the two. Simplify each of the complicated fractions as much as possible. For Problems 1-10, evaluate the quantity without using a calculator . 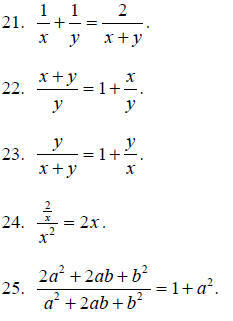 For Problems 21-25, decide whether each of the statements are true or false.